May 14 News | Jobs in Radio, Film, Audio. When it comes to learning from top music industry pros, Mark Christensen might be called the pinnacle example. He’s got decades of experience in the music industry, on both sides of the aisle—both as a signed artist who opened for Radiohead, and as a highly accomplished engineer and mastering wizard. In 1996, Mark established Engine Room Audio in New York City. Today, Engine Room is one of the most renowned recording and mastering studios in the world, servicing such clients as Trey Songz, 50 Cent, Kylie Minogue, The Killers, A$AP Rocky, The Ting Tings, Sia and a host of others. We recently caught up with Mark to talk with him about the mastering process and garner some deeper insights into the inner workings of the craft. As always, the dedicated mentor was extremely giving of his time and knowledge. Mark, could you please explain to us in your own words, exactly what a mastering engineer does? Aside from having to have great mastering ears, what does the job entail? Mastering engineers are kind of like a quality control step where you’re making sure that the records that are being released are radio ready in the sense of being competitively loud and present, and also making sure that the frequency distributions are what they should be in order to be competitive next to the other stuff that’s out in the marketplace… We’re also serving the function of helping the labels to organize all of the tracks and the final product. A lot of times modern albums are being mixed by four or five different people. There’s a lot that goes into organizing all of that, you know, dealing with the various mixers, making sure that you have all of the correct versions of every song. A lot of major label records will sometimes have between 5 and 10 versions of each song: there will be clean tracks, TV tracks, instrumentals, acapellas, sometimes with different features, sometimes in different languages… On a big, major label project, not only are there many different files and many different versions of all the songs, but there can sometimes be many different versions of each version because even the main release version might have some different formatting issues depending on the release channel that’s going through. So it’s a lot of administrative, organizational stuff. And it’s the mastering houses’ job to manage the files and be able to find them too, correct? The labels look to us to hang onto all this stuff in a very highly organized fashion. We’ve definitely had situations where major artists will be on stage at some festival and be texting us that they need certain files in five minutes because they want to add it to their set or something, and we have to be prepared to dig those files out of the archive and send them through our server so that, you know, 50 Cent can perform that particular song on that particular day. So yeah, there’s an awful lot of file management and just general kind of, you know, crazy attention to detail… And then, obviously, the mastering engineer has to have of golden ears and be able to tell if the record sounds right and to be able to fix problems. You’ve mentioned that the demands of the work makes it imperative for you to have a good assistant who can help you keep track of the many moving pieces. Could you tell us more about that? I find that I can’t really do my job unless I have a really good assistant, just because there is so much that goes on….One of my very first Recording Connection students years ago was a guy named Nacor Zuluaga…He was my mastering assistant for a number of years. He and I worked on a bunch of records. I think he probably got four or five gold records (Trey Songz, Club Dogo, Fedez, learn more). So what kind of “ears” do you need for mastering? What other qualities you need to have? It is true that mastering engineers kind of listen differently than your normal mix engineer. I’m really lucky because the Engine Room has an A-list, top of the line mastering room, but we also have an A-list, top of the line mix room with an SSL and everything. I’ve gotten pretty good at being able to listen kind of with both sets of ears. As a mastering engineer you’re definitely focused on kind of a different set of priorities. And it’s hard to really explain it, but in some ways you’re kind of listening to energy distributions, you know? 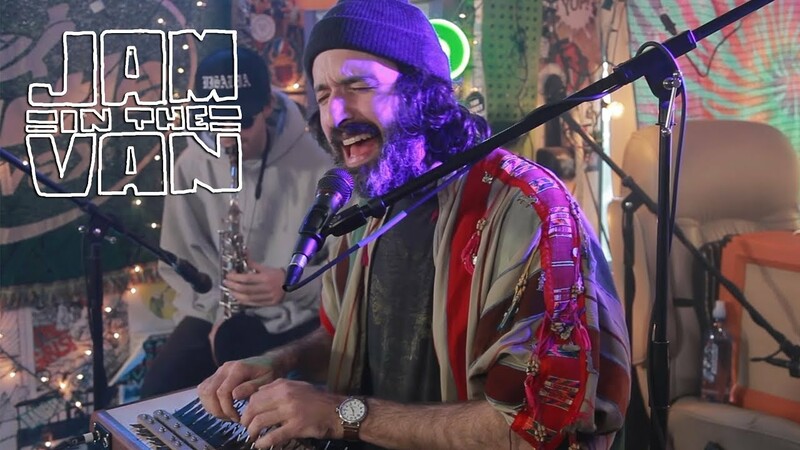 You’re listening to what’s going on with certain frequency ranges and how those frequency ranges are presenting themselves based on the particular piece of music and based on the way that it’s mixed and, sometimes, also based on what the label wants from it. Do you master tracks differently for different genres? Do trends in specific genres influence how you master songs within those genres? If you’ve got a specific market that you’re trying to sell to, your records have to sound a certain way in order to fit into that genre. And it’s the mastering engineer’s responsibility to understand what those genres are and how that plays out in the real world…You have to already know your stuff in order to do it, because the labels are trusting you to have a real feel for what the market is doing sonically. A big part of my job is to make sure that their product is stacking up correctly on the radio next to all the other songs that are part of that same genre. Of course, the label’s ultimate goal is to sell records. So they want to make sure that their product is speaking to the right people in order for them to be excited about listening to it and buying it. What’s your recommendation for someone who wants to work in mastering? Is it best to start out as an audio engineer first, prior to becoming a mastering engineer? I think you do have to have a pretty solid audio engineering background to be a good mastering engineer. To be a good mastering engineer you have to know how to be a good tracking engineer. To be a good mastering engineer you have to know how to be a good mix engineer, just because you have to know how records are made and you have to understand how to communicate with the people who are doing those jobs. You also have to understand how the job that they did is going to result in the ultimate product to be able to effectively play your part as the mastering engineer, as the final stage of bringing that record to its ultimate destination. 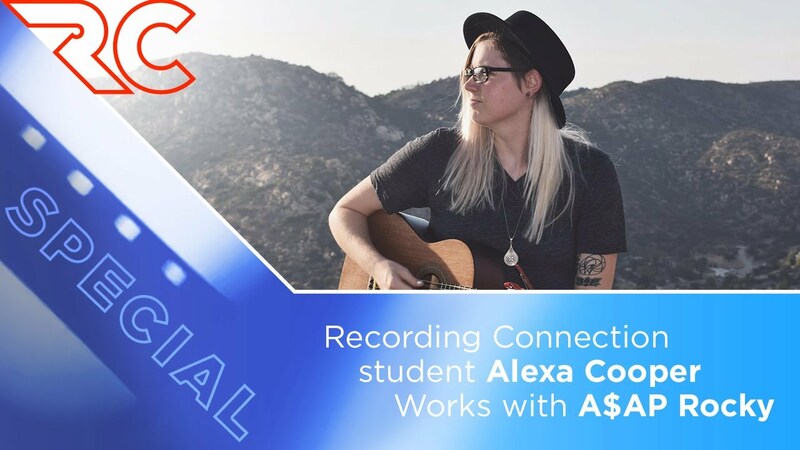 Recording Connection grad Alexa Cooper on working with A$AP Rocky!